I lost my Shop Your Way card. What should I do now? Shop Your Way is digital, so you don't need to carry a card to earn or redeem points. By providing us with either the phone number or email address you used to register, we can look up your account. 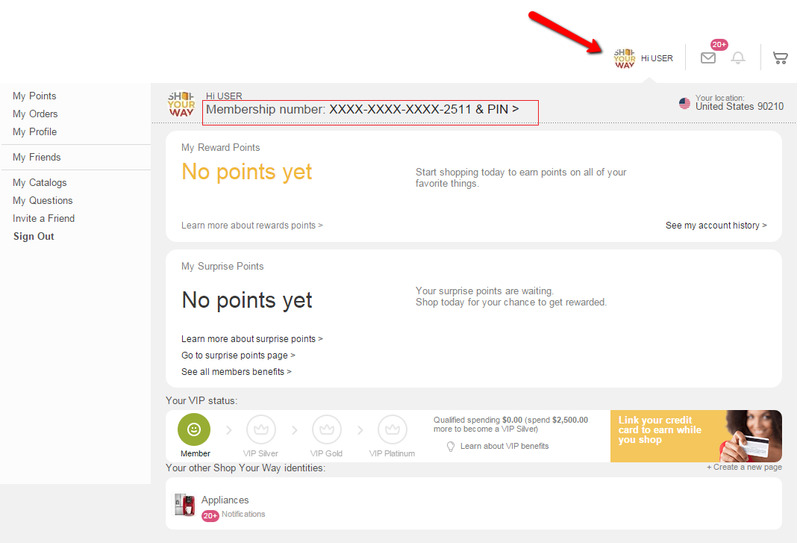 If you want to print your digital Membership card as a quick and easy reminder to get Points, once signed in to your account, click on your username at the upper right corner of the page and then click on “Membership number & PIN #”. From there a popup will appear with your member number on it, which you can then print out. Do I need a Shop Your Way card? Currently, Shop Your Way is an online only program and there are no cards that are mailed to you (unless you are a VIP). However, if you'd like, you can print out your Membership card with your PIN to help you remember it. To do so, first log into your account. Next, click on # Points in the top right corner of your screen. On the drop-down menu, click "Click to view" next to "PIN #." On the popup that appears, you will have the option to print this card.